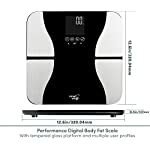 With advanced technology that calculates a whole range of body metrics, the Smart Weigh Body Fat Scale is nothing like your average scale. 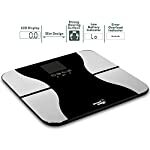 With a sleek looking design and platform made out of reflective, tempered glass, the Body Fat Scale looks like something you would find in your doctor’s office. 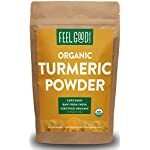 However, this is not just a case of style over substance. 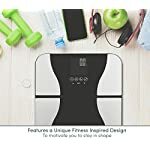 The Smart Weigh Body Fat Scale uses advanced BIA technology to measure not only your weight but your BMI, body fat, body water, bone mass and muscle too. 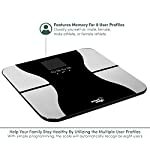 Programmable for up to 8 users that the scale recognizes when stood on, the Smart Weigh Body Fat Scale is as much a body analyzer as it is a simple scale. 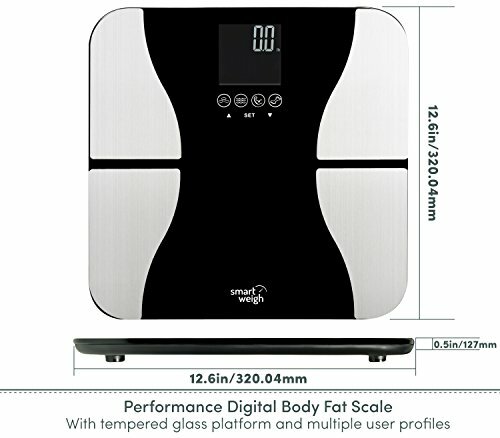 Is the Smart Weigh Body Fat Digital Precision Scale Worth Buying? 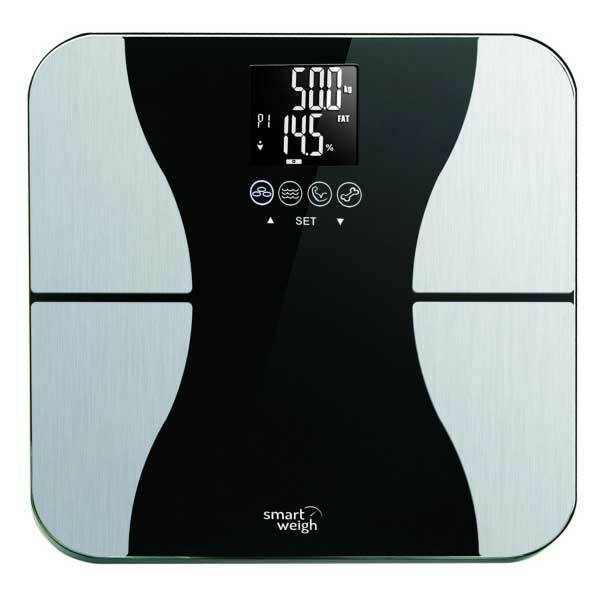 What is initially most striking about the Smart Weigh Body Fat Scale is its design. 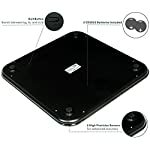 The tempered glass platform looks professional, and the LCD screen is clear and distinct, making the data easily readable. 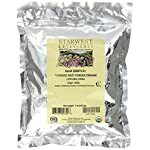 Pleasingly, it also has an impressive weight capacity. 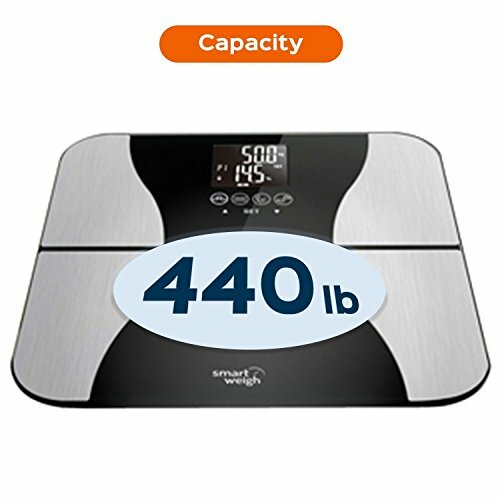 Many body fat scales have restrictively low weight capacities, but the Smart Weigh Body Fat Scale can accommodate up to 440lbs. 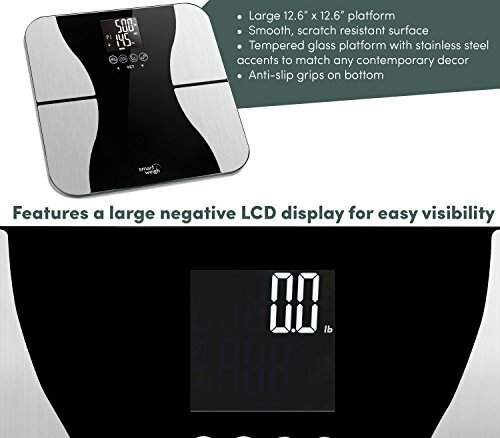 The programmable element of the scale is also a pleasant addition. 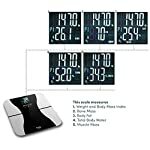 At the initial set up, you input your gender, height and measure your weight. 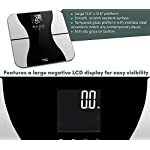 The scale will subsequently recognize the user from simply standing on it, and can show your precise measurements accordingly. 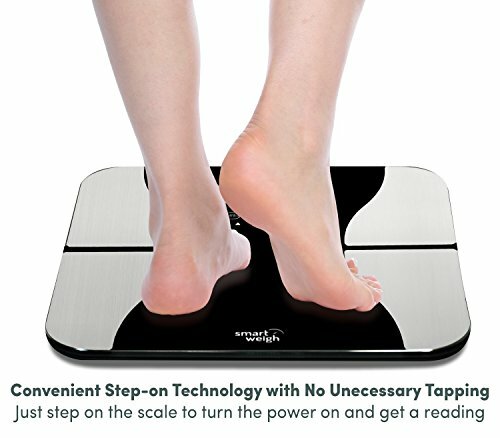 Using BIA technology, the scale sends a low current through your feet (when used barefoot) to calculate various metrics such as body fat and body water. 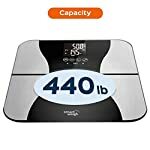 For an affordable home use scale, the technology is impressive. 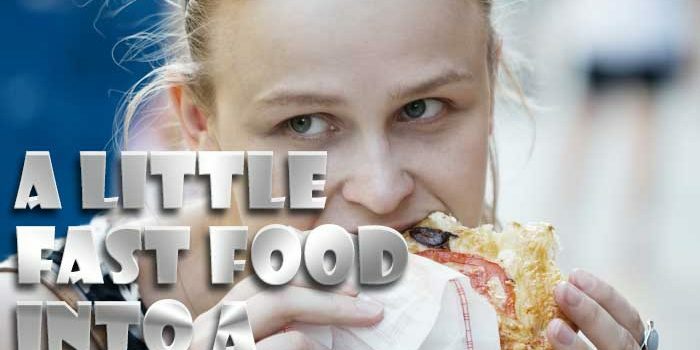 However, the effectiveness of BIA technology is still not conclusive. 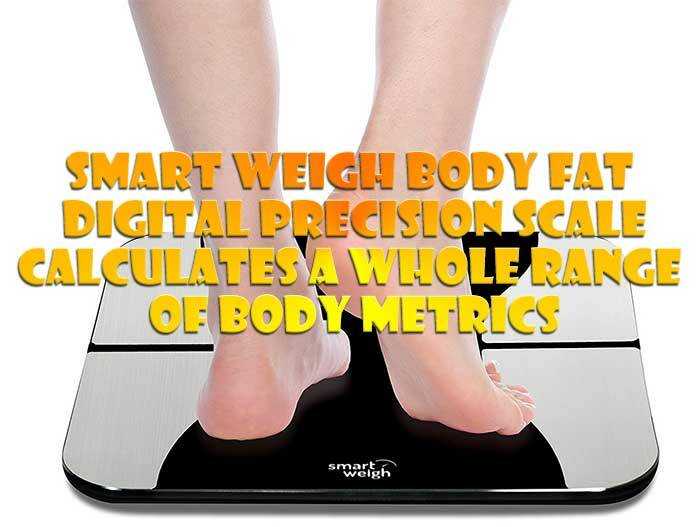 While the data can give an idea on certain metrics, it would be foolish to entirely trust a simple bathroom scale to accurately calculate an individual’s bone mass and body water measurements with any great consistency. 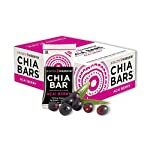 It is helpful to get an idea of trends over time, but the information should not be considered absolute. 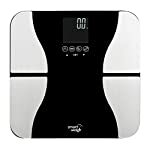 Overall, the Smart Weigh Body Fat Scale is an impressive home use scale that is precise in its key measurements, and that offers an insight into some more complicated metrics. 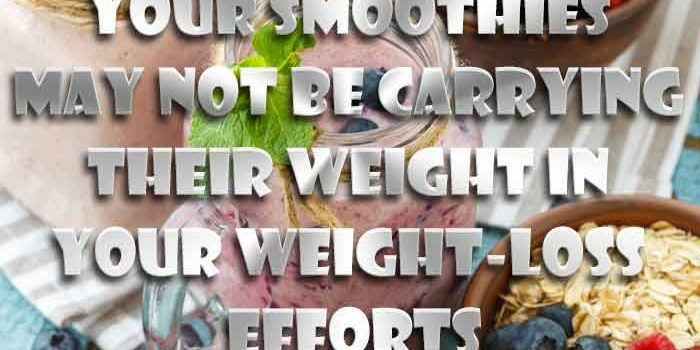 The body weight and BMI are entirely accurate, while the individual user recognition software is simple yet rewarding. 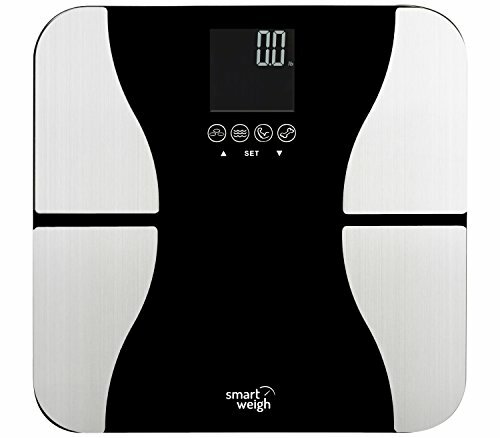 Sturdy and well-made, the Smart Weigh Body Fat Scale offers excellent value for money for a scale that will give you many years of service. 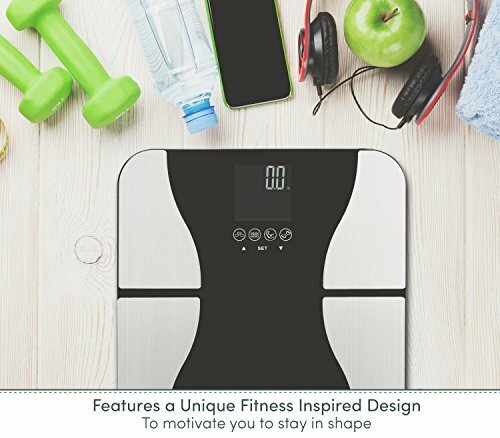 Design - The Smart Weigh Body Fat Scale features a unique fitness inspired design to motivate you to stay in shape. 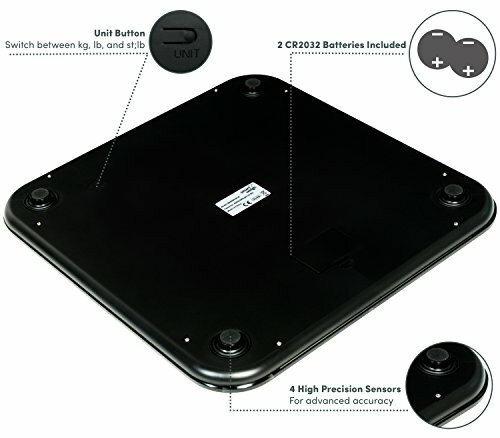 The tempered glass platform and stainless steel accents contribute to its contemporary look. 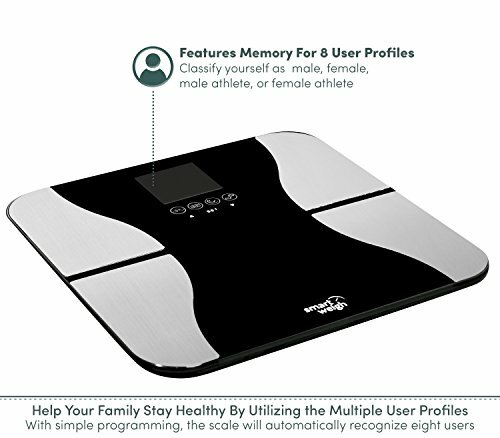 User Recognition - Help your family stay healthy by using the features this scale has to offer. Through a simple set-up process, the scale can be programmed to automatically recognize up to eight users. 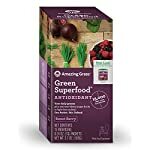 Vital Data - It is most empowering to know vital information about yourself. 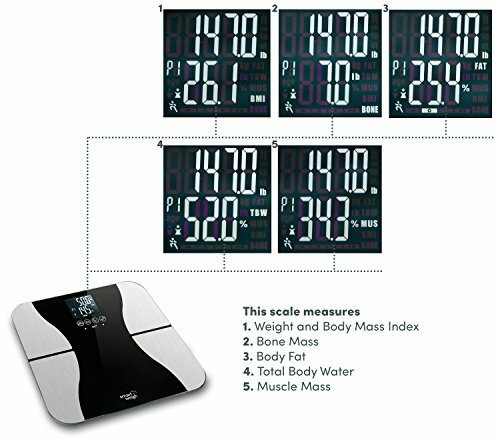 This scale measures body weight, body fat, body water, and muscle and bone mass. 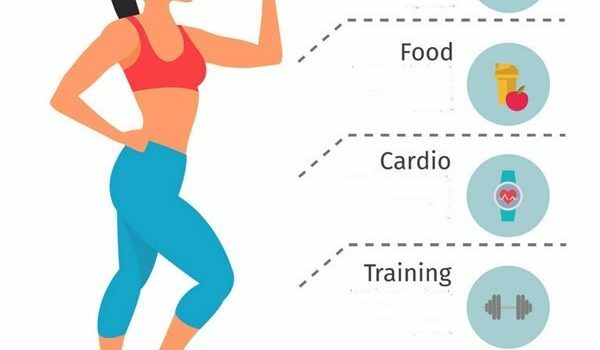 This information will help monitor your health status.